Curious about the Chrysler, Dodge, Jeep, Ram brand? 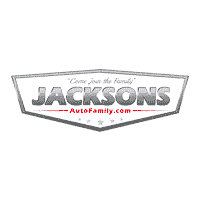 Learn more about the ins and outs at Jacksons of Enid CDJR. Learn about Chrysler, Dodge, Jeep, Ram safety specs, interior features, technology like Uconnect®, and much more! Whether you want to know about Jeep Wrangler performance or RAM 1500 towing capacities, we’re here to help you out.We are proud to be your Enid Chrysler, Dodge, Jeep, Ram dealership of choice, and we strive to help you stay on top of features and news!